Fabricated tweets suggested Hillary Clinton praised wars, using the hashtag #DraftOurDaughters. 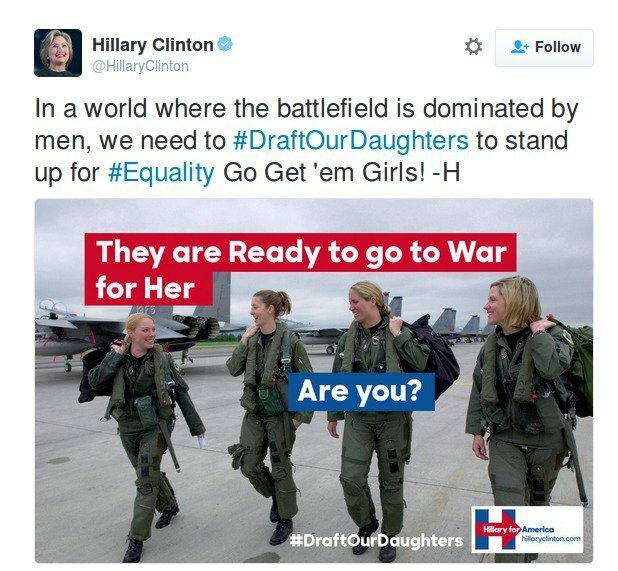 Hillary Clinton tweeted that we should #DraftOurDaughters, encouraging women to go to war. This image and another like it has made the rounds on both Facebook and Twitter. It seems completely bogus, as whenever I search for the tagline "Enlist our daughters", it's just people talking about this image. 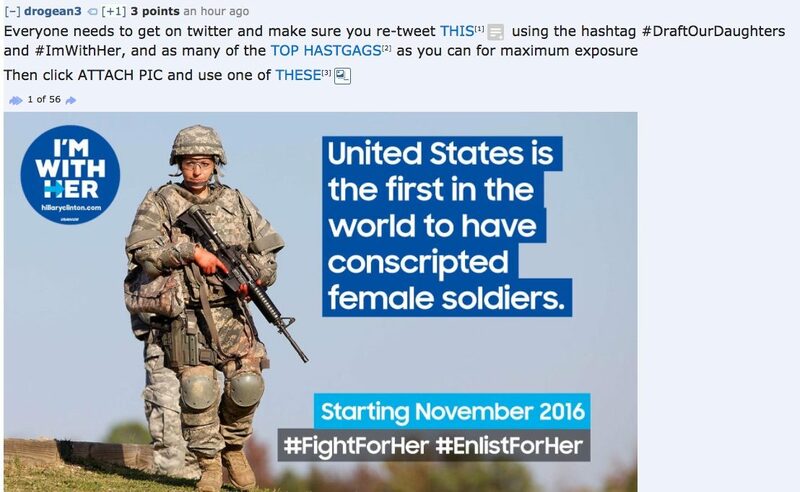 On 28 October 2016, the hashtag #DraftOurDaughters began trending on Twitter, vaguely connected with purportedly “leaked” ads produced by Hillary For America (an arm of the Hillary Clinton campaign). The depicted tweet appeared to exist only in screenshot form, and was not anywhere to be found on Hillary Clinton’s account. The tweet from Twitter user “@alishabae69” was the first ever published by that account, which was created in October 2016 and consisted solely of #DraftOurDaughters content. A Facebook page was one of several social media users or entities to assert that news outlets “took the bait“, covering the hashtag as a legitimate Clinton campaign effort. Remember to vote November 12th! The #DraftOurDaughters hashtag was not an official Hillary Clinton campaign effort. 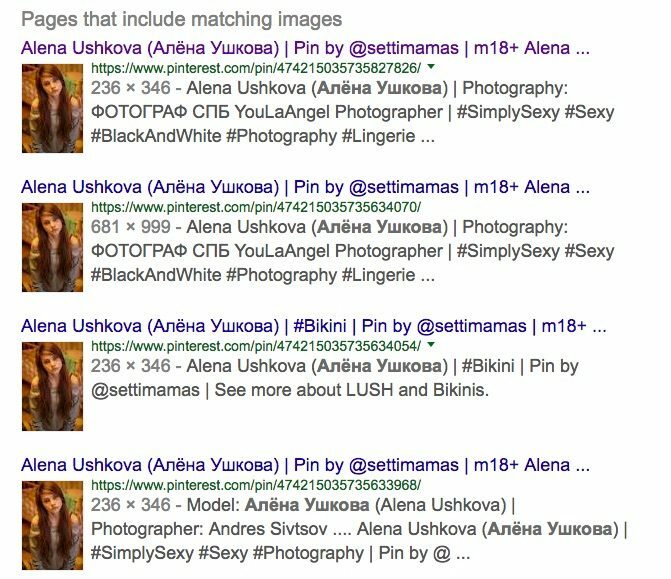 The trend originated on 4chan’s /pol/, where users cooked up fake campaign ads and arranged to spread them on social media in an attempt to dupe fellow users. 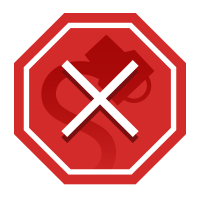 Separate threads on /pol/ laid out the plan and directed users to create as many versions of the memes as possible with which to flood social media, and there was no question the ads were neither legitimate nor reflected an actual Clinton campaign effort. The effort was one of several coordinated trolling efforts by the board and similar forums. Previous hoaxes included dangerous Bernie Sanders glowstick instructions, a fabricated tweet claiming that a McDonald’s worker spat in white people’s food, a widely reported spate of fake “white students’ unions” at colleges, and a massively viral “propaganda” video about refugees in Europe.